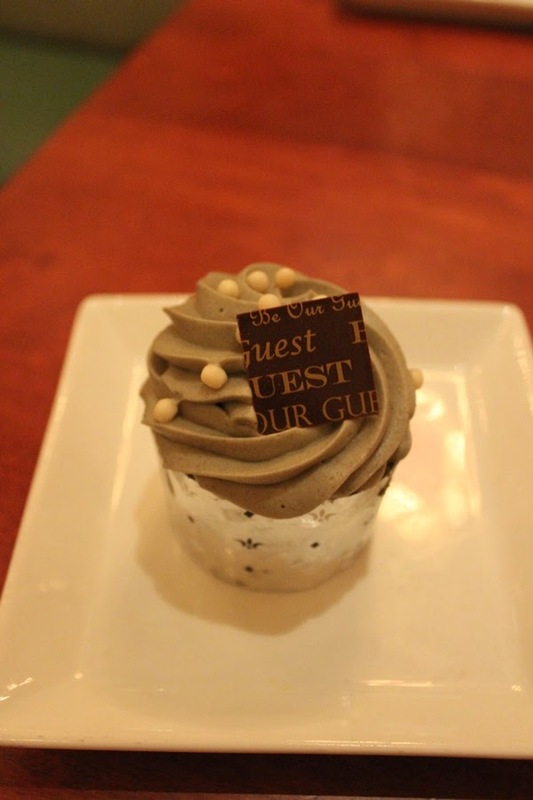 There are a plethora of desserts at Be Our Guest, eclairs, cream puffs, cupcakes, and sorbets and any one of them will satisfy your sweet tooth. So, you’re asking what makes The Master’s Cupcake so special? The base of the cupcake is a chocolate sponge cake with the crown of the dessert being a heaping helping of the Grey Stuff. It is garnished with some chocolate pearls and a script covered piece of chocolate fondant. While the specifics aren’t entirely known, the Grey Stuff is a scrumptious bit of cookies and cream pastry genius. It is incredibly delicious from top to bottom, especially if you work your cupcake correctly to ensure that you get a bit of cake and Grey Stuff in each bite. I can’t lie and tell you that it is any better or worse than the other desserts at Be Our Guest, though I can let you know that it is only served during lunch. Which again begs the question, what make The Master’s Cupcake so special? It is being able to live through a moment of a Disney animated feature for yourself. It is the undeniable moment when your child, or spouse’s, or even your own face lights up with the realization that you get to try the Grey Stuff and it is, in fact, delicious. It is being able to believe in the fairy tales, not just Beauty and the Beast, but all of the fairy tales, for just one moment. I don’t know that it is the dessert you need to order over and over again, but it is certainly a must eat for a first visit to Be Our Guest for lunch. I’m willing to bet you’ll love it, and that you’ll even hum a few bars of the song for which the restaurant is named. And if you still don’t believe me that the Grey Stuff is delicious after this review, you don’t have to. Go ahead and ask the dishes!